Nissan North America Inc. is expanding availability of the all-electric Nissan LEAF to U.S. consumers for the 2012 model year, with upgrades based on feedback from the thousands of owners who already have driven several millions of miles in the first 100-percent electric car for the mass market. 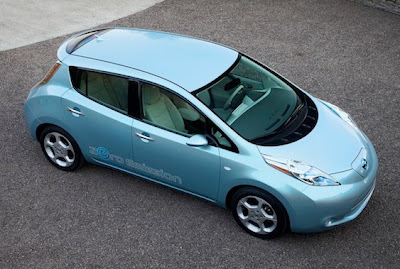 The Nissan LEAF, enriched with additional standard equipment including quick charging and cold-weather features for the 2012 model year, now will be available for order in the Southeastern United States and Illinois. "Many enthusiastic consumers have eagerly anticipated ordering a Nissan LEAF of their own, and now we can make zero-emissions mobility a reality in more markets," said Brian Carolin, senior vice president, Sales and Marketing, Nissan North America. "In response to direct feedback from Nissan LEAF owners, the features that customers want most will come standard on the 2012 Nissan LEAF - including quick charging and cold-weather features." Nissan on July 25 will open up the ordering process to consumers with existing reservations in Alabama, Florida, Georgia, Illinois, Maryland, Mississippi, North Carolina, South Carolina, Virginia and Washington, D.C.
After the prioritized ordering phase for existing reservations in those markets, Nissan on Aug. 4 will open new reservations and orders to the general public, both in these new markets, as well as places where the Nissan LEAF already has been on sale (Arizona, California, Hawaii, Oregon, Tennessee, Texas, and Washington). 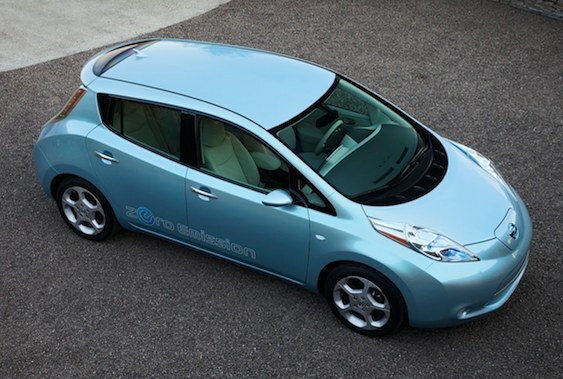 Expected delivery of the first 2012 Nissan LEAFs will begin in the fall. DC Fast Charge capability standard on Nissan LEAF SL: The vast majority of MY11 consumers have opted for the DC fast charge port, which allows the vehicle to be charged at 480V - reducing charging time to under 30 minutes for charging the vehicle to 80 percent from a fully depleted state. As DC fast charge stations proliferate across the country, Nissan expects this feature to become even more popular. For 2012, fast-charging capability will be standard on the SL trim level. Cold weather features standard on Nissan LEAF: As the Nissan LEAF rolls out to U.S. markets with colder climates, cold weather features become standard equipment on all trim levels of the Nissan LEAF. These include a battery warmer, heated steering wheel, and heated seats in both the front and rear. The manufacturer's suggested retail price of the 2012 Nissan LEAF is $35,200 for the SV trim level, and $37,250 for the SL trim level. The monthly lease price will begin at a highly competitive $369. Nissan will expand into additional new markets as the year continues. In the fall, orders from existing reservations and new reservations will begin in Connecticut, Colorado, Massachusetts, New Jersey and New York. By the end of the year, Delaware, Indiana, Louisiana, Nevada, Ohio, Pennsylvania, and Rhode Island will be added as markets where the Nissan LEAF will be available for order. More than 4,000 Nissan LEAFs have been delivered to U.S. customers, and Nissan, as it begins the next phase of the launch, continues to learn from them. While 82 percent have never previously owned a Nissan, a full 75 percent considered no other vehicle than the Nissan LEAF in their purchase decision. On a whole, these early adopters report that they are using the Nissan LEAF as their primary car, and driving it far more than was originally anticipated. These consumers, most of whom are highly educated and have high income levels, are technologically savvy, environmentally conscious, and consider themselves advocates for electric-car technology.